Select the fields you need, configure on-screen messages and email responses, preview, test and easily embed the form in your posts, pages or custom content types using the TinyMCE button. Create as many forms as you want. Create landing pages, contact pages, invitations, a jobs form with curriculum upload, customer request forms, spare part requests, and much more. 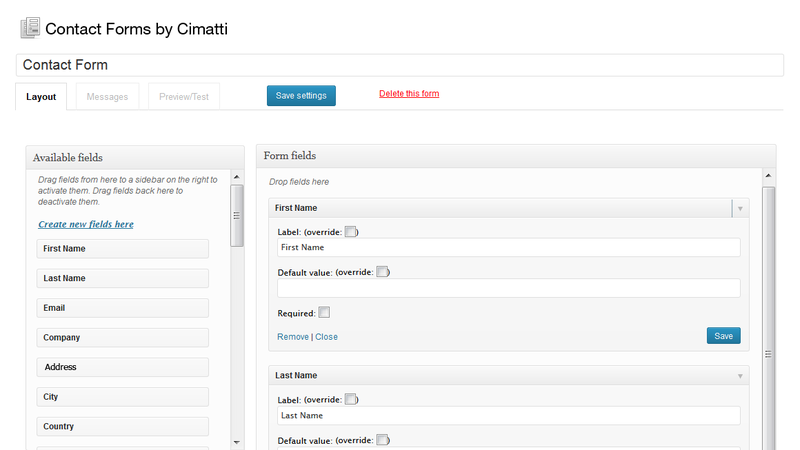 The drag and drop interface lets you add, change the order, and remove fields in a snap. The plugin comes with a list of common default fields to get you started right away but if you wish you can delete or add other fields as you go. Each form can have its own messages to help users get the most from your website. Email confirmation messages can also be configured to suit your needs. 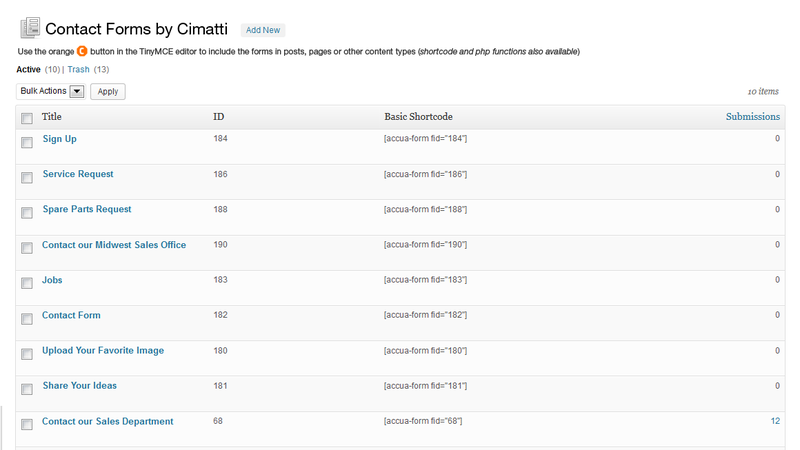 The preview tab lets you see exactly how the form will appear in your wordpress page. You can also fill in the form and test prior to publishing. In the preview pane you can also choose the styles connected to the form. Don’t worry if you don’t rembemer the shortcode to include a form in your post. 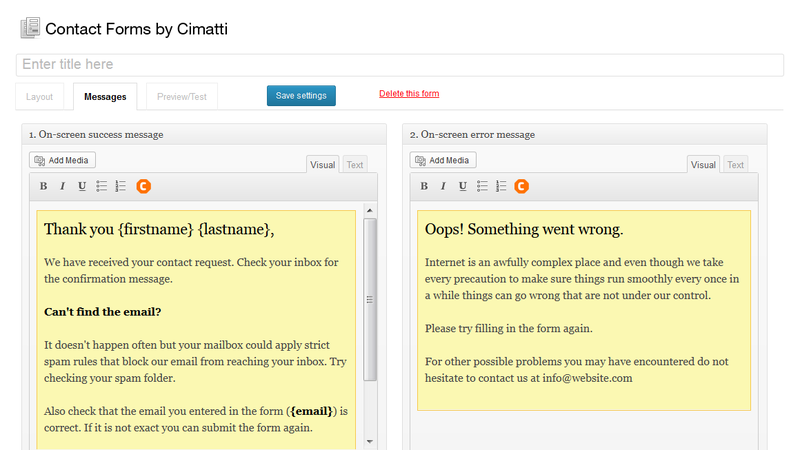 Use the orange “C” button in the editor to select your form. the plugin dashboard has a graph to display monthly form submissions. Open Office or other spreadsheet software like Google docs can easily import excel data while it is not always true the other way around. 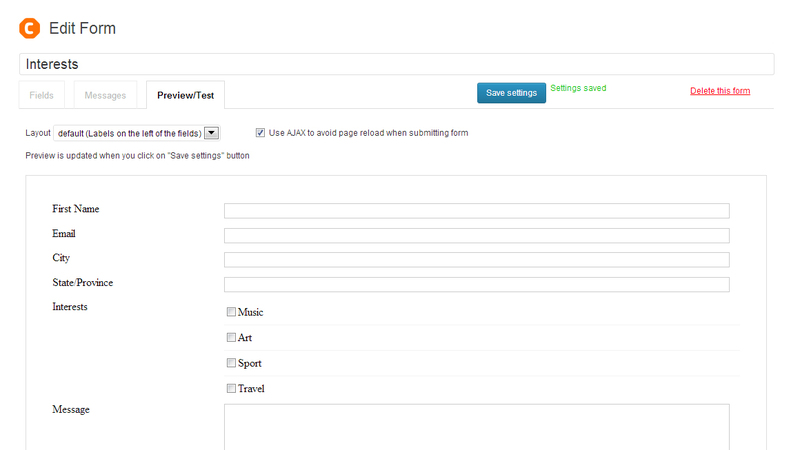 Export only what you need: single form, single page data using advanced filter capabilities. 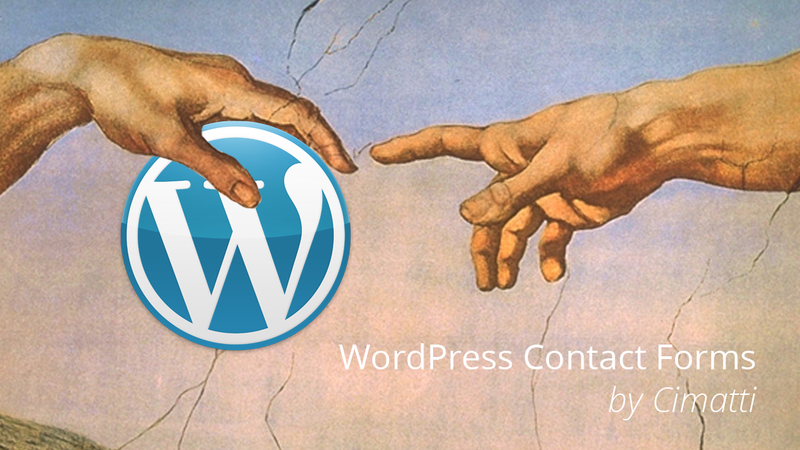 WordPress Contact Forms includes API to help developers customize and add features. The Plugin can be downloaded from the plugins section of the wordpress.org. The plugin is free. For the moment, if you like it you can do us the favour of clicking the like button for our facebook page.